Lateline ran a story on February 2nd on moves by State and Federal Governments to legislate tougher penalties for climate change protesters. It features footage from many actions student climate justice activists were part of in 2007 and 2008. More than 150 climate change groups have opposed passage of the Government’s carbon trading scheme through Parliament, saying the targets are dangerously low. TONY JONES, PRESENTER: Well, the Federal Government has lost the support of most of the Green lobby, including influential Australian Conservation Foundation for its key response to climate change. More than 150 climate change groups which met in Canberra over the weekend, announced today they would oppose the passage of the Government’s Carbon Emissions Trading Scheme through Parliament. They say the Rudd Government’s targets are disastrously low and overly compensate the biggest carbon polluters. 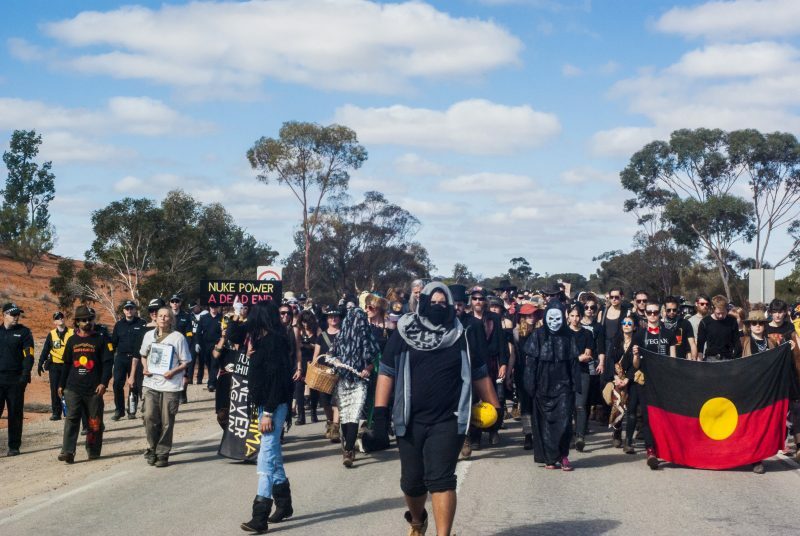 Meanwhile State and Federal Governments are considering tougher penalties for climate change protesters, and tomorrow a major protest march is planned for Parliament House in Canberra. 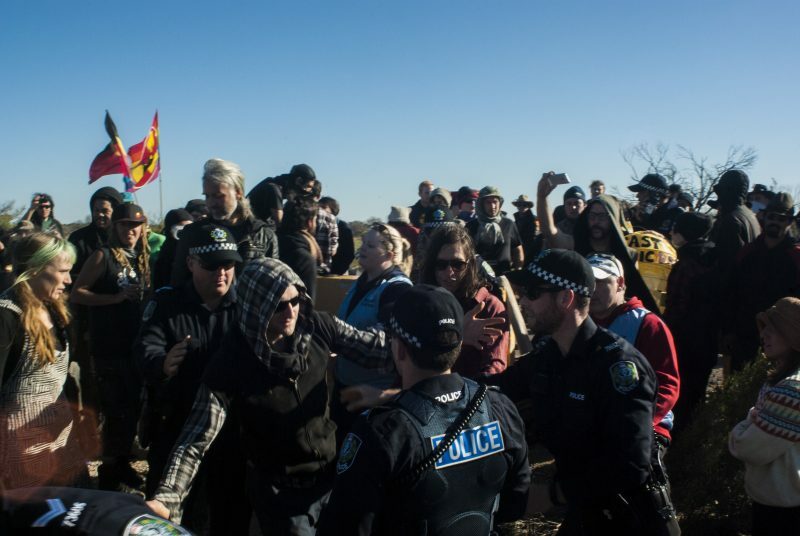 MARGOT O’NEILL, REPORTER: Australia is set to see more protests like this, about 160 people were arrested last year with some climate change activists chaining themselves to railway tracks to block coal exports and to conveyer belts to disrupt power stations, others climbed smoke stacks. 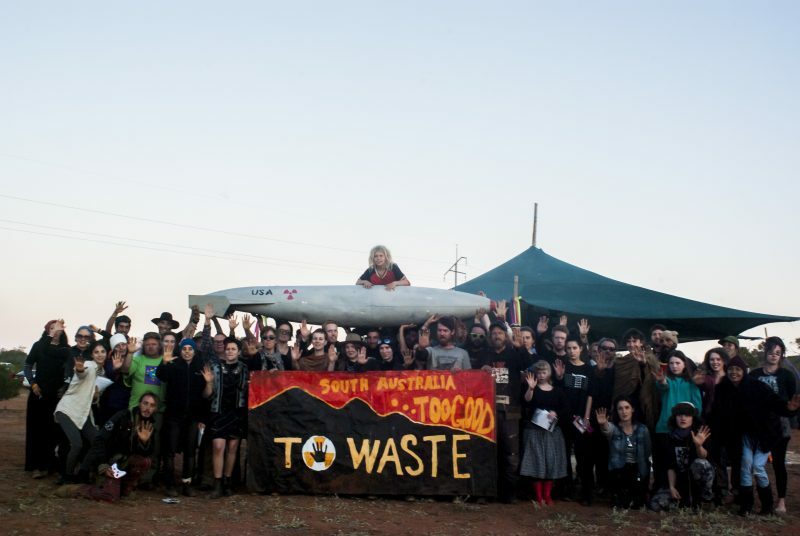 After meeting in Canberra this weekend activists say there’s more to come. JOHN HEPBURN, GREENPEACE: We’ll also see a lot more big protests at particularly the brown coal power stations in Victoria, some of the most polluting power stations on this earth, they need to be closed very quickly, and replaced with renewable energy. We can do that now, we can create adjust transitions for workers in coal communities, and if the Government is not going to take that action then it’s up to the community to do it for them. Because we simply cannot wait any longer, climate change is too urgent. MARGOT O’NEILL, REPORTER: Federal and State Governments are reviewing the laws dealing with such disruptions after a request from the country’s State and Federal Energy Ministers. 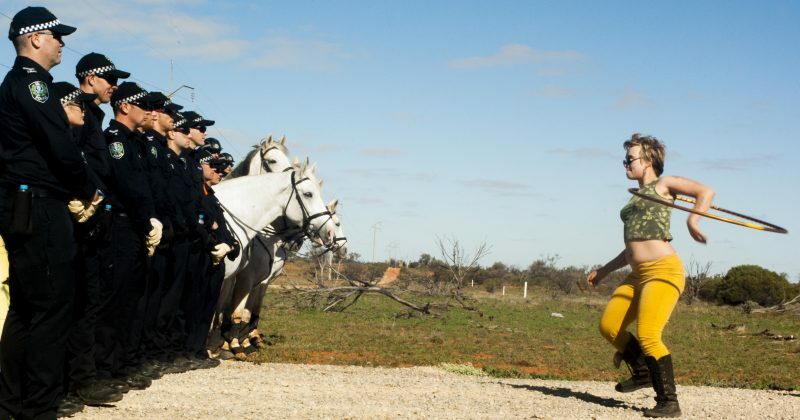 GEOFF WILSON, QLD MINES AND ENERGY MINISTER: That shows you how seriously all Energy Ministers around Australia, including the Federal Minister see this action that was taken last year in various places. 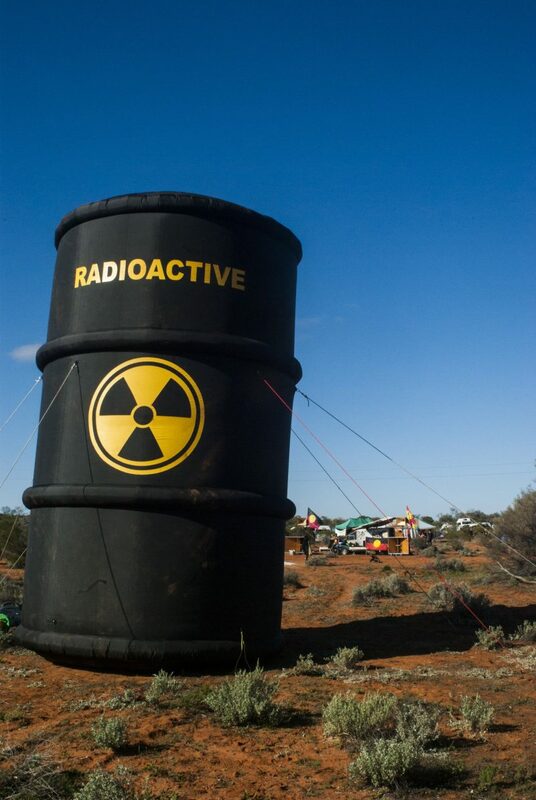 MARGOT O’NEILL, REPORTER: In 2007 activists shut down Victoria’s Loy Yang Power Station for five hours. 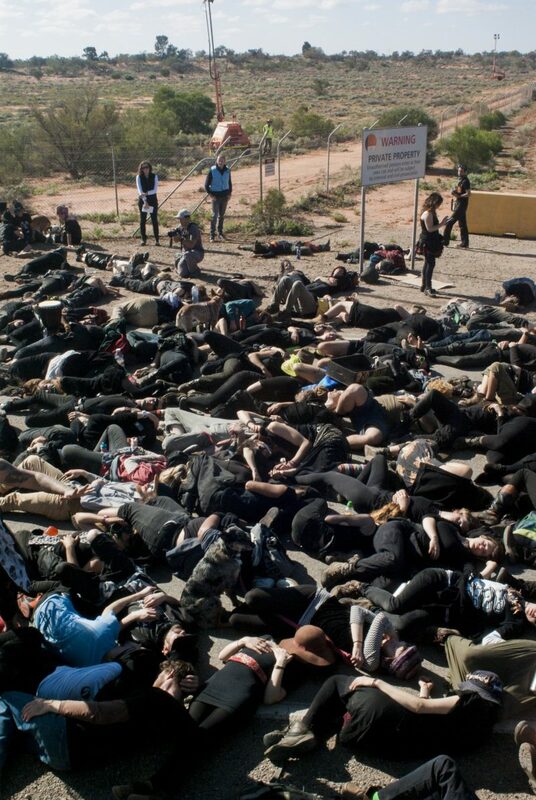 GEOFF WILSON, QLD MINES AND ENERGY MINISTER: This action, they described as being peaceful. Only has the veneer of being peaceful, when indeed the outcome of the action has the high risk that electricity supply will be cut off to large communities with harmful impacts on those large communities. JOHN HEPBURN, GREENPEACE: The kind of protests that we have seen at coal power stations have not resulted in any of those sorts of problems. MARGOT O’NEILL, REPORTER: Protesters in the United Kingdom were last year acquitted of criminal damage charges after one of the world’s leading climate change scientists James Hansen from NASA testified that coal fired power stations were causing greater damage to the public good through dangerous global warming. Now two of Australia’s internationally renowned climate change scientists, health expert Professor Tony McMichael, and climate expert Professor David Karoly say many climate change activists in Australia are unsung heroes, and they’d be prepared to testify in court on their behalf about the urgency of global warming and its impacts. DAVID KAROLY, MELBOURNE UNIVERSITY: I would be prepared to provide support to provide, if you like, defence, testimony, that says that these activists are providing justifiable responses given the imminent danger associated with climate change. MARGOT O’NEILL, REPORTER: In a political blow for the Government it’s formerly lost the support of much of the green lobby for its Emissions Trading Scheme, known as the Carbon Pollution Reduction Scheme due to start next year. One of Australia’s most influential environmental groups, the Australian Conservation Foundation, as well as other groups like Greenpeace and Friends of the Earth will now actively oppose Government policy unless it toughens up. TONY MOHR, AUSTRALIAN CONSERVATION FOUNDATION: The two biggest flaws with the proposed Carbon Pollution Scheme is that it will lock in unacceptably weak targets for reducing greenhouse gas emissions for many years. It will also see billions of dollars going to big polluters. MARGOT O’NEILL, REPORTER: But the New South Wales Minerals Council says the scheme’s targets are already steep enough. NIKKI WILLIAMS, NSW MINERALS COUNCIL: It is a very tough target and there is no other county in the world that has one. MARGOT O’NEILL, REPORTER: A draft of the legislation will be released publicly later this month.